Proudly Announcing our NEW Tribeca Location! 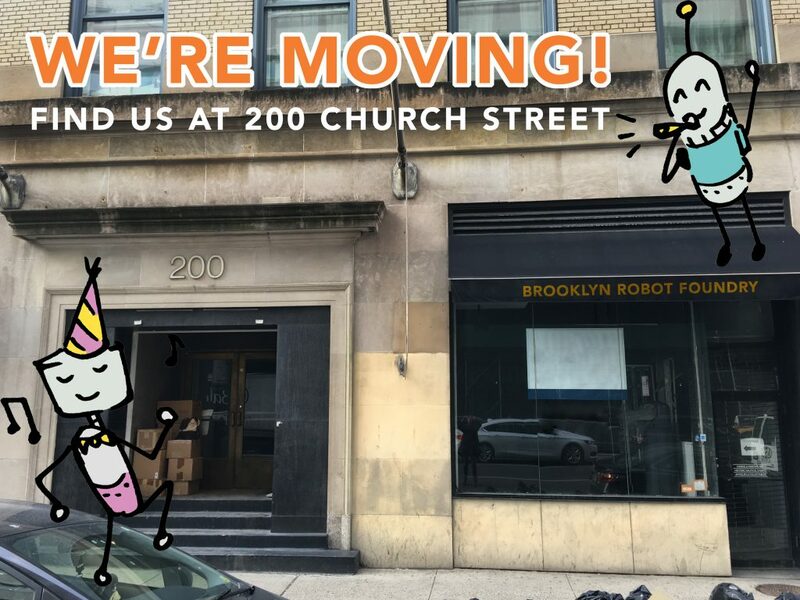 We are moving from our 72 Warren Street location to our brand new 200 Church Street location! What an exciting time! How close is the new location? So, so close. The new location is on Church between Duane and Thomas. It’s just 4 blocks away. Why do you love this space? It’s bigger! It’s brighter! It has very tall ceilings! And a full basement for lots of storage. We couldn’t be more excited to move in! When will you be moving? We will be moving on February 3rd in the afternoon and will be back up and running on February 4th in the afternoon. We have to put on a fresh coat of paint, install a new floor and create our robot murals. We will NOT have any gaps in our programming. We have moved our other locations over the years and it usually takes us about 1-2 days to pack, move and unpack. We have gotten quite efficient! If you are currently enrolled in a session or class, we will be sending you an email with information about the move.